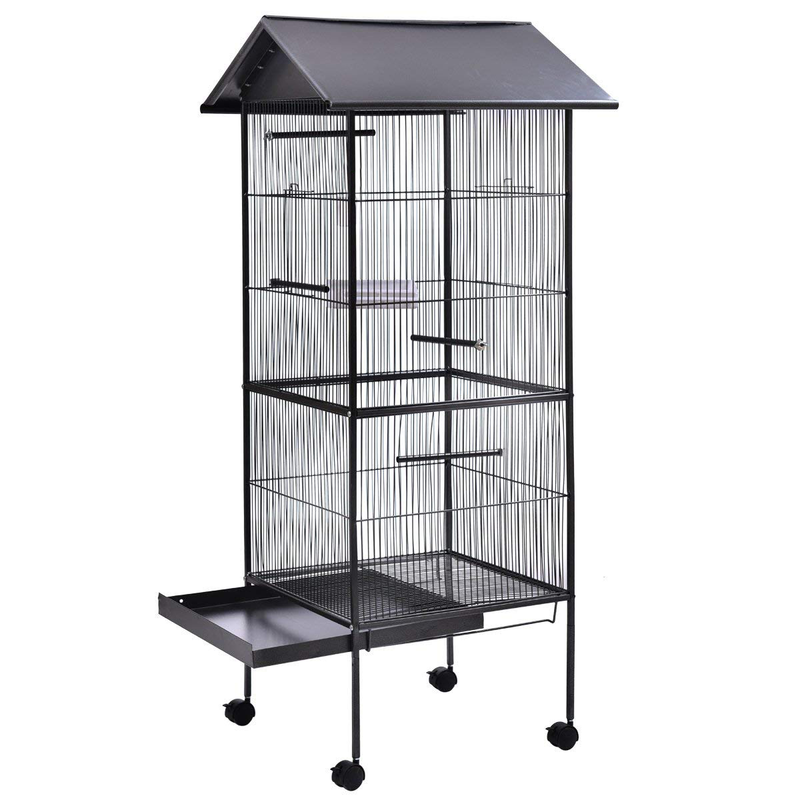 The Peru Bird Cage is a spacious enclosure, made out of strong and durable metal. 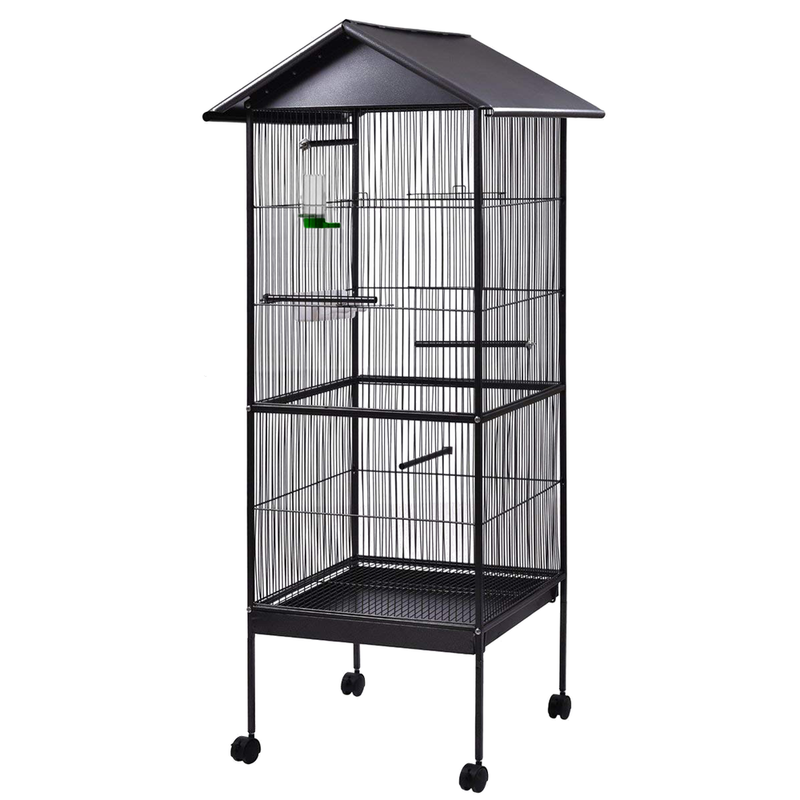 This bird cage provides a secure home for your beloved pet and comes complete with everything you need. 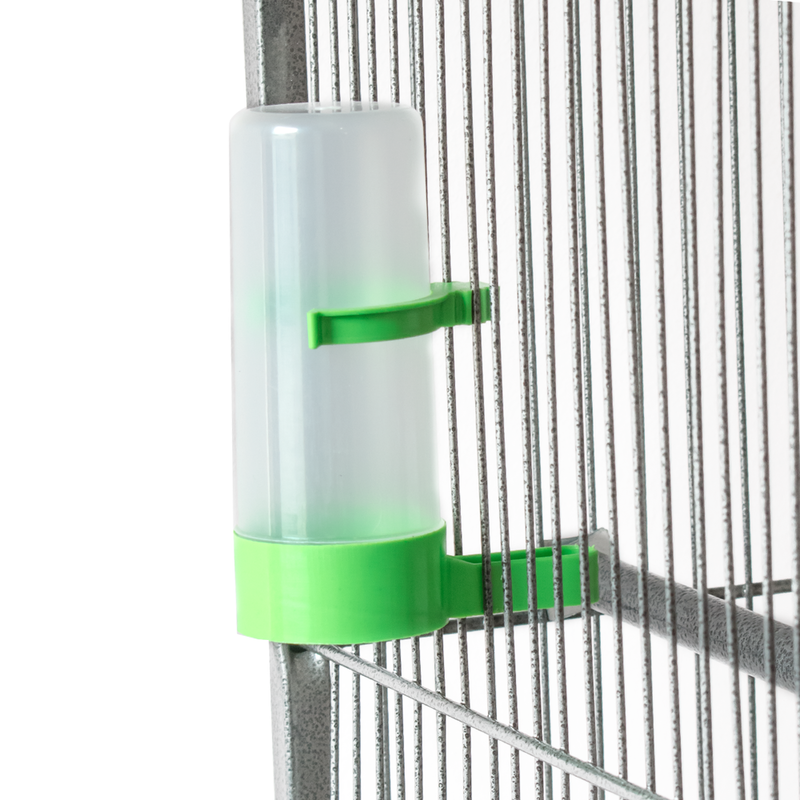 The Peru Bird Cage provides you with 2 access points to allow you to get in the enclosure when required. These doors are particularly useful for topping up food, water, or for spot cleaning. 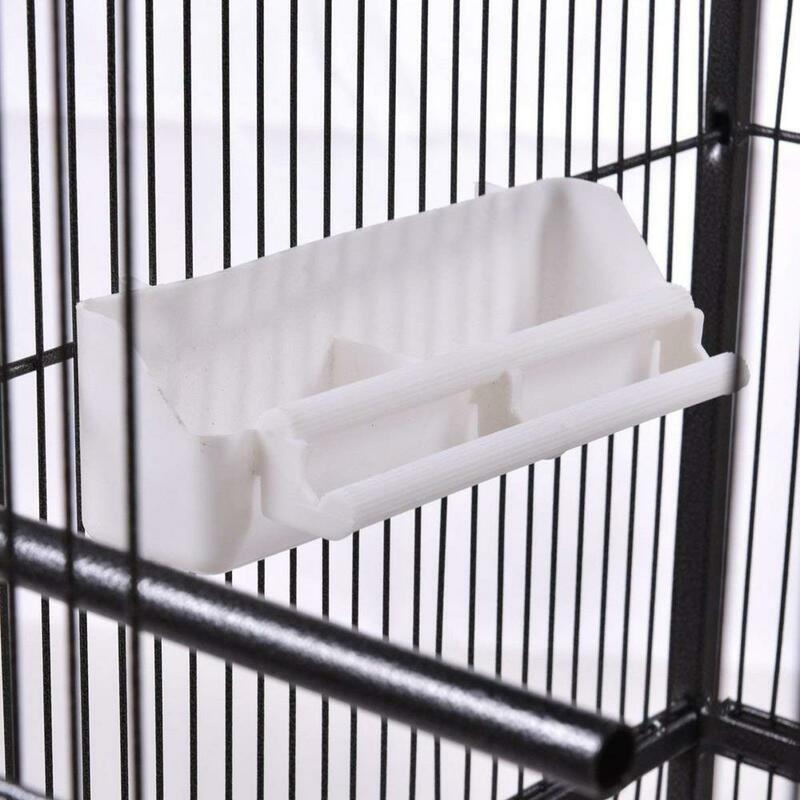 The slide-out bottom tray with grid makes general cleaning easy as it allows you to keep your bird securely inside the cage. 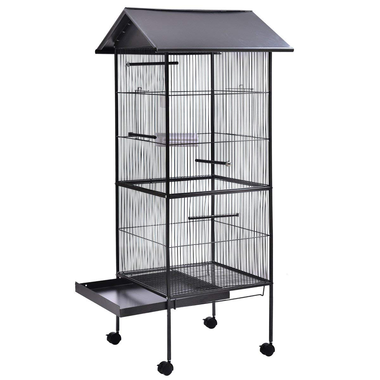 The metal grid stays where it as you slide out the tray, preventing your bird from escaping the bottom of the cage. 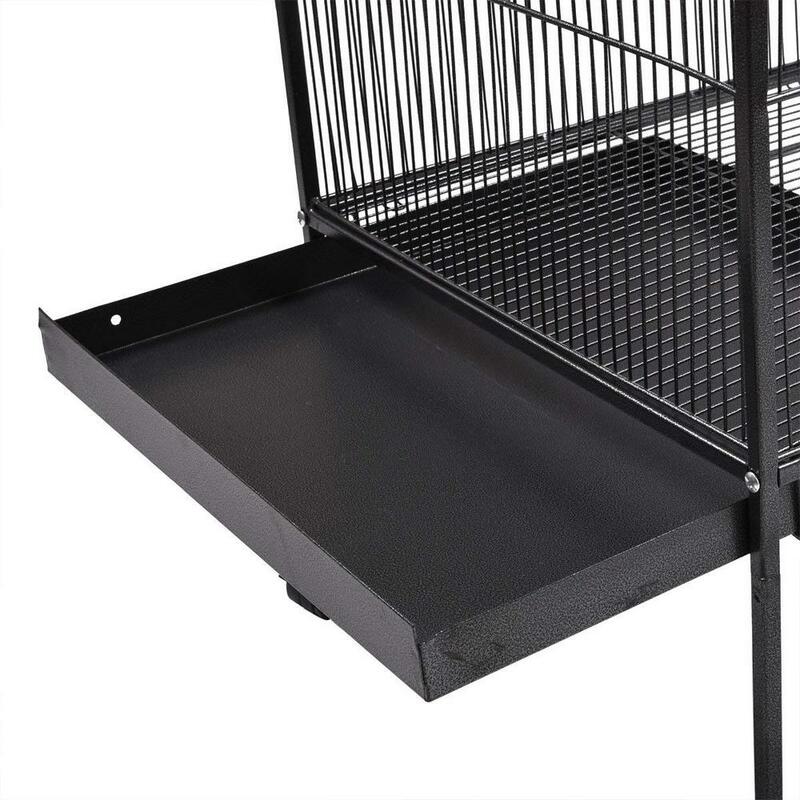 Moving the Peru Bird Cage is made easy with the included casters (wheels) located on each leg of the cage. 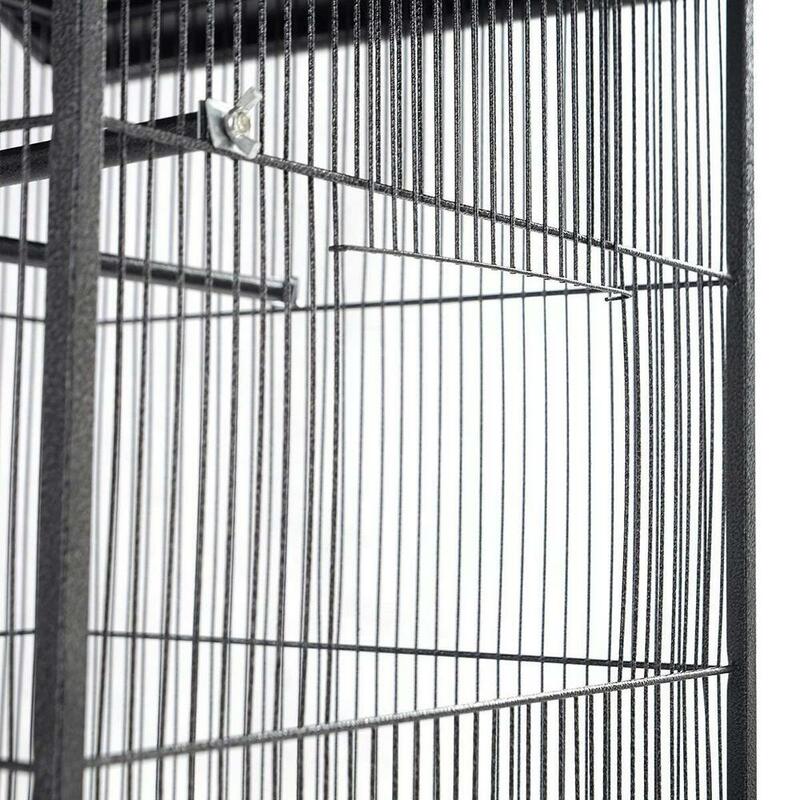 This allows you to position the cage in a way that best suits your needs, makes cleaning that much easier and hassle-free. 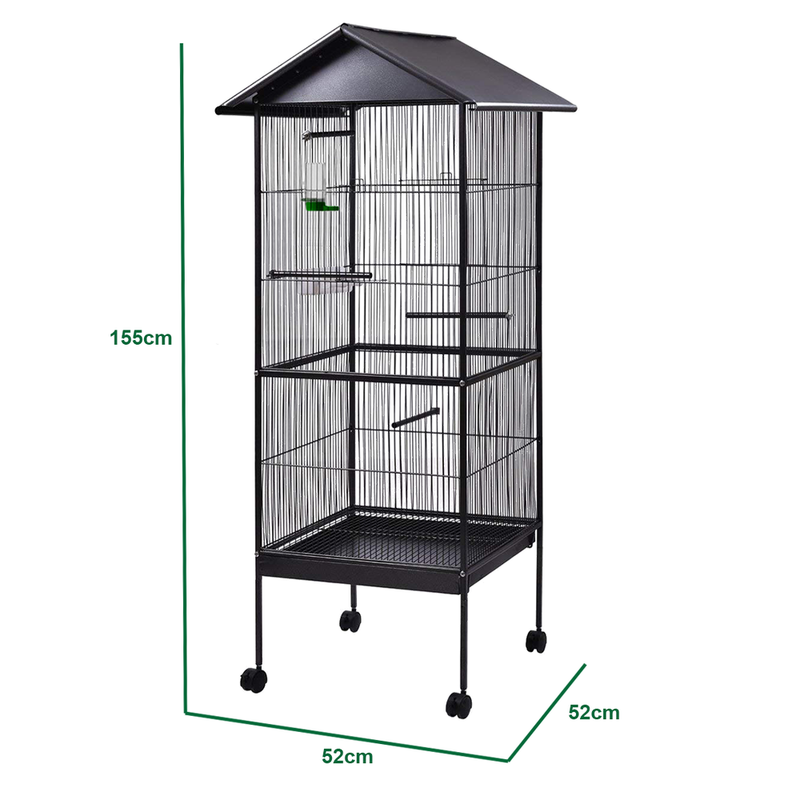 The apex roof featured on this birdcage gives you the option of having the cage outdoors, while keeping your bird out of direct sunlight or rain. 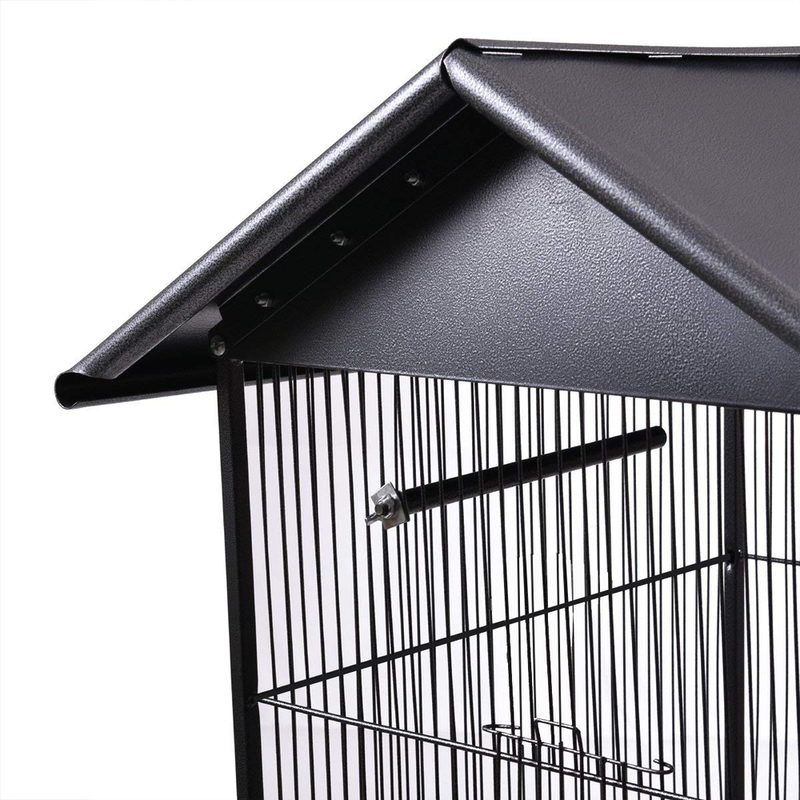 Included with the Peru Bird Cage are a bird feed dispenser, water dish and 4 steel perches for your bird to rest on. Instructions and fittings included.